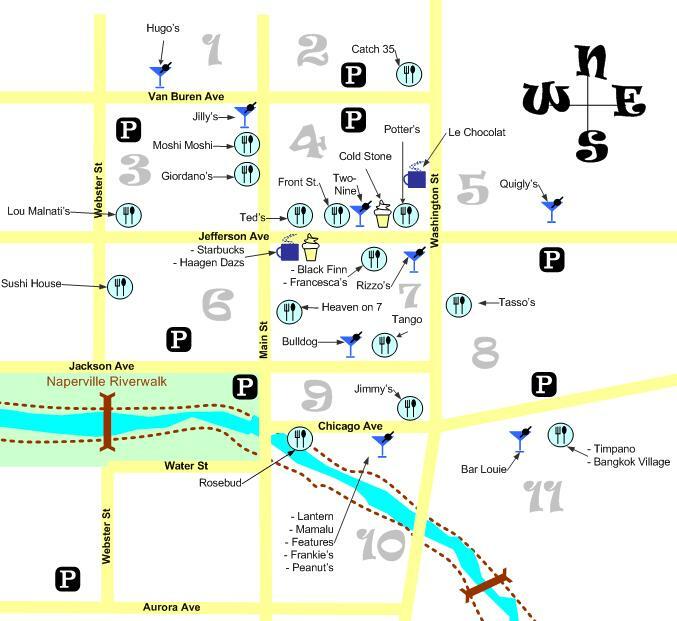 Here is a map of downtown Naperville’s best nightlife hotspots. The map includes restaurants, bars, and coffee houses that are the perfect places to meet up with friends or for date nights. Downtown Naperville has quickly become the place to go for a lively night out on the town. Click this link if you would like a printable version of the downtown Naperville map. The Best Pizza in DuPage!